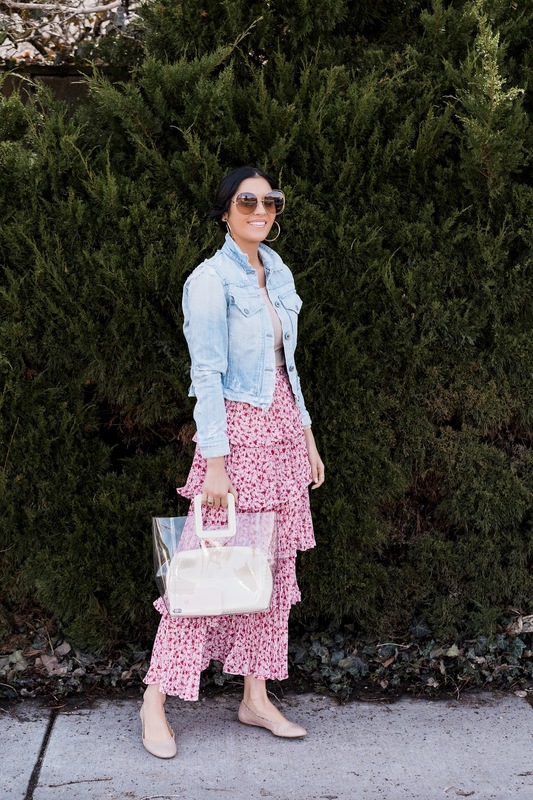 I’ve always been a lover of anything floral print and this spring I’m super into the tiered trend!! 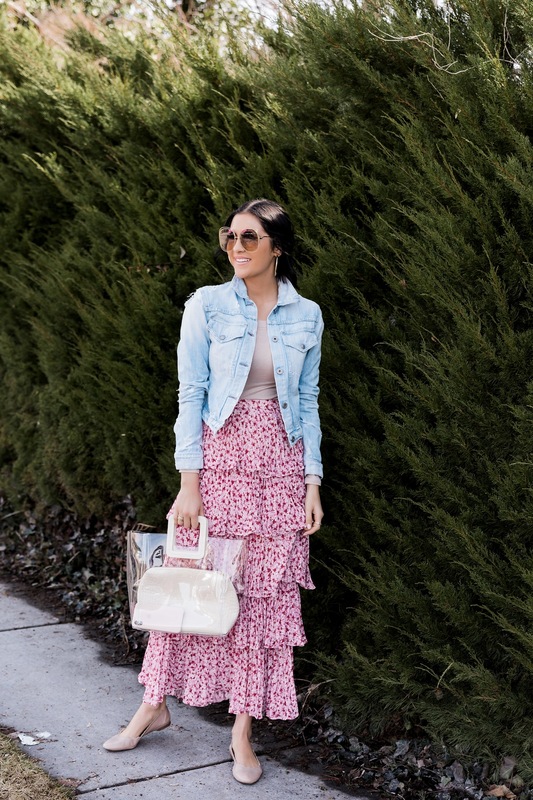 I just got this AMUR tiered floral skirt from Nordstrom and I’ve already worn it three times!! I love that you can dress it up or down! Also this is the tee you’ve been seeing me wear a lot lately!! Love the color and fit! 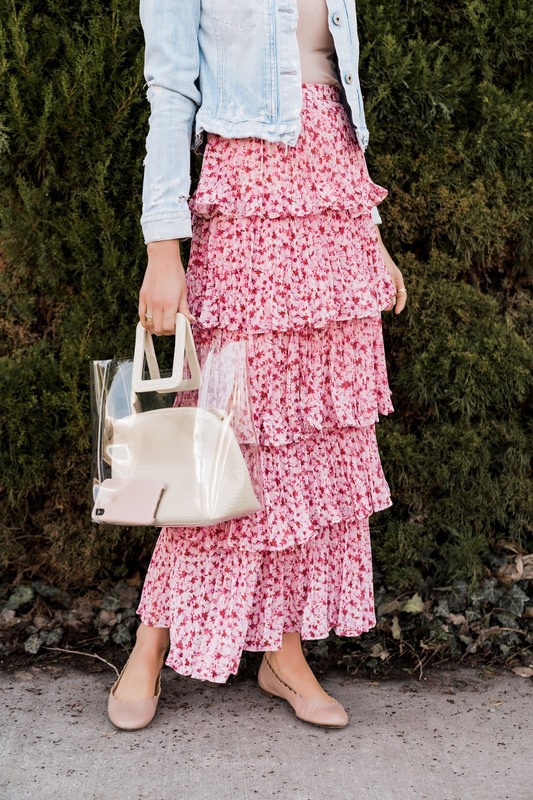 Such a cute look, love ♥️the skirt paired with a bleu jean jacket! That’s a gorgeous skirt and it’s a very fun and feminine trend but I’m not sure if I’d ever pull it off. It looks amazing on you though. How cute is that tiered skirt! Love it for easter! I love this outfit. The skirt is so chic. I’m absolutely obsessed with the print!? I love this outfit. So perfect for spring. The skirt is so chic. I’m absolutely obsessed with the print!? Tiered skirts are so comfy and fun to wear. I love the casual way you styled your’s. The colors look great together. Love tiered skirts! So pretty for spring, and so flattering. The floral skirt by AMUR is amazing. I love its length and colour combination. Very feminine look. 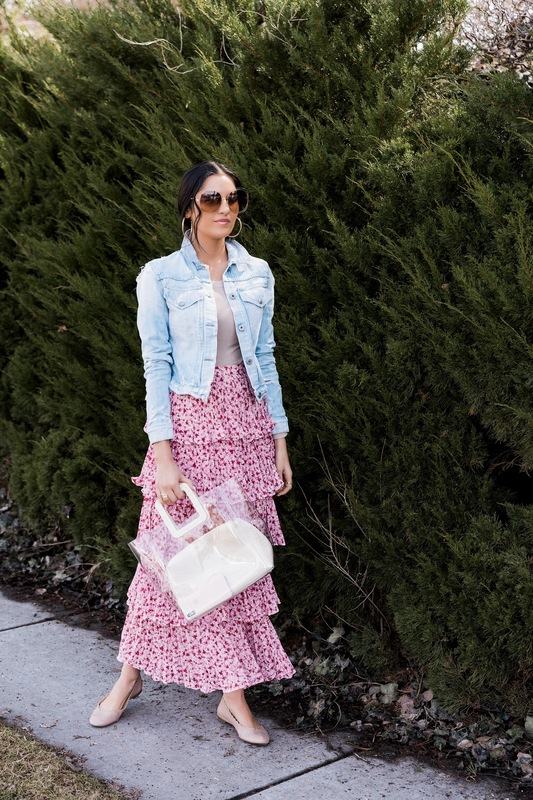 Love this pretty, feminine skirt. Beautiful color.